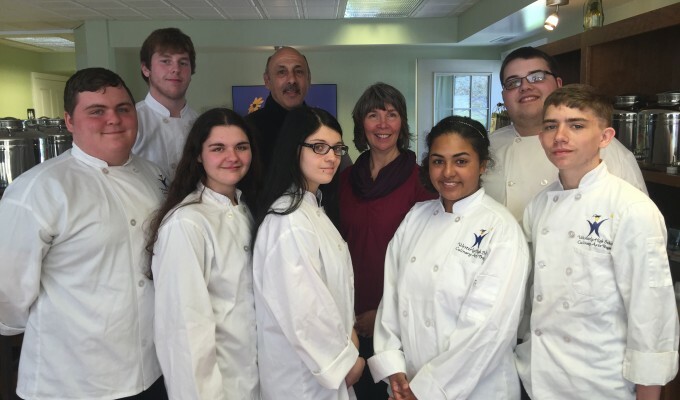 Educational Event with Westerly High Students Culinary class and Chef Jamie Finkelstein. There were great questions and observations from the students. 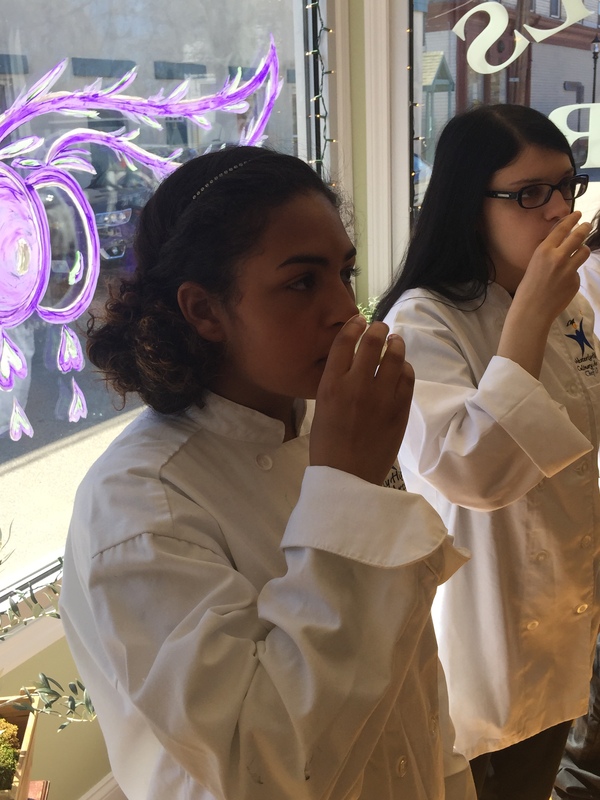 We were honored by their presence and their interest in what we value at Capizzano Olive Oils & Vinegars LLC. 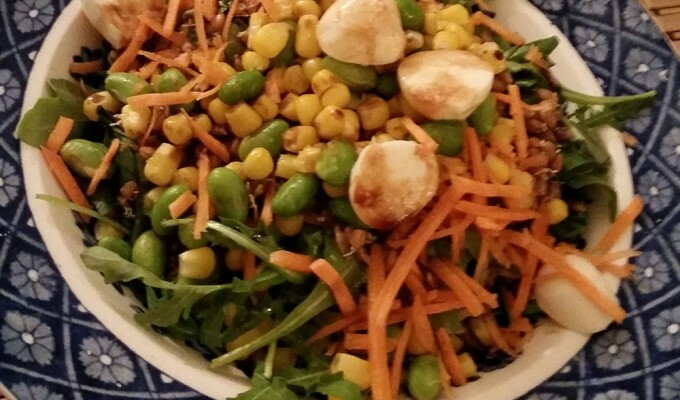 Arugula, wheatberries, fresh basil leaves, shredded carrots, edamame, Organic corn, mozzarella balls, and scallions. 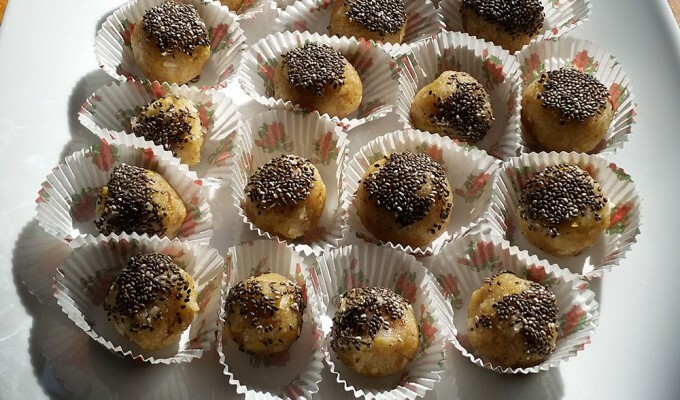 Tossed with Mission evoo, Makai Sea Salt to taste and drizzled with Traditional 18 year aged Balsamic Vinegar. Add unsalted pistachios – optional. Do you have any Italian Extra Virgin Olive Oil? We get this question frequently and with a name like Capizzano you would think we would have Italian Extra Virgin Olive Oil all the time. The question begs the reason we got into this business. When Suzanne and I started, we looked at it as an educational adventure, one that suggested quality and excellence. 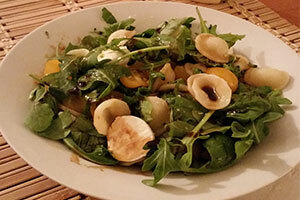 This Italian-inspired salad is a quick workday meal. Packed with fiber, potassium, and your daily dose of omega-3-rich fats, this is a great dish anytime you need a healthy no-fuss meal.